When: Thursday, April 4th beginning at 6:30-8:00pm. Looking to grow your faith during Lent and deepen your relationship with Jesus and Mary? We have a great plan for YOU! 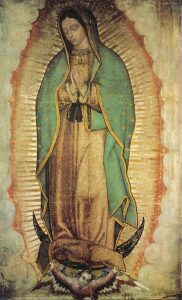 Join US for a Mary Mother of Life Retreat, on April 4th at 6:30 PM. Adoration, Rosary, Litany of The Blessed Virgin Mary Mother of Life, Benediction and Special Guest Speaker Joe Gohring who will speak on the importance of Mary in the life of a follower of Jesus Christ. Don’t miss it! If you like what you hear, you can even join us for a Total Consecration to Mary starting on April 10th and concluding with Mass and consecration on May 13th (Our Lady of Fatima). 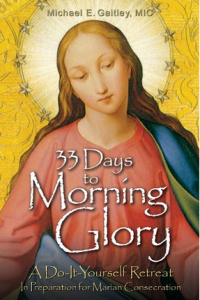 We will be using the book “33 Days to Morning Glory” by Father Michael Gaitley. At the end of the retreat, we will be giving away a copy of Fr. Michael Gaitley’s book, “33 Days to Morning Glory”, to the first 150 families (one per family).